This could be your private party in the future! 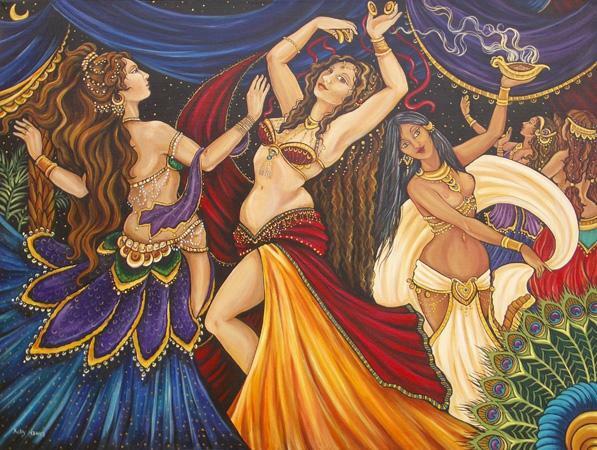 On Tuesdays we have been offering the new Dance-Eat-Soak Party Nights for the general assembly of our extended belly dance students and friends. Really been fun! However sometimes we reserve for a Private Party. 6-8 people work out nicely. SO YES! You can arrange your own private party on Tuesday or other nights of the week. • 3-4 course sit down dinner. Hip scarves and veils for everyone to use and belly jewel party favors. Call 206.632.2353 for prices because arrangements can vary. Performance during dessert is a little extra! You are paying for the class . The entertainment the dinner and hot tub is hospitality. All sorts of Occasions !